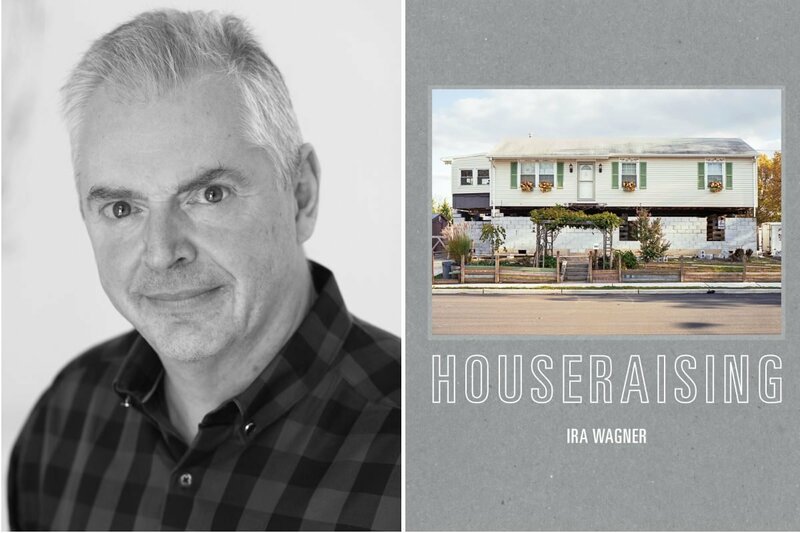 Ira Wagner's Houseraising documents how owners of houses damaged by Hurricane Sandy have responded by, literally, raising them to keep clear of future floods and storm surges... The preface, "All That I Know," is by Rutgers sociology professor Rachael Shwom, who ponders the mindset of those who live in an environmentally threatened place. "Why would you live there?" the outsider asks. "And, now that this has happened, why stay? Why do all this work, rather than move to higher ground?" Shwom explains why she and others live where they live and why they want to stay. She grants that her decision may lack some practical wisdom, but I love her answer: " have never run my life like a business where I maximize profit and few people do. Because for many, life is rarely about maximizing wealth and rather about finding a way to pay the bills while finding joy in what you can."